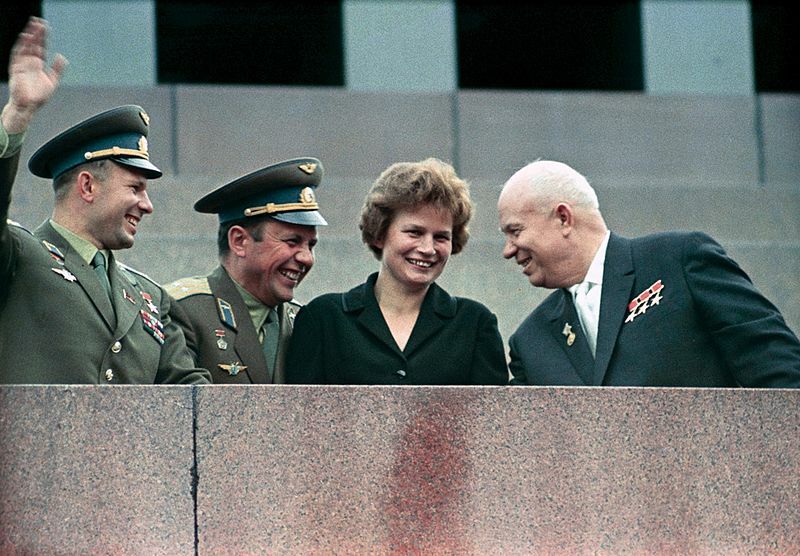 Cosmonaut Valentina Tereshkova – First Women In Space! 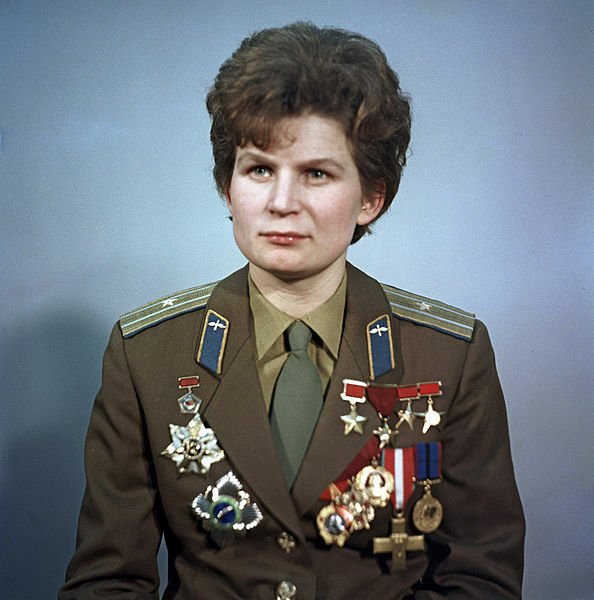 Valentina Tereshkova is a retired Soviet cosmonaut who became the first women in space on June 16th 1963 when she piloted the Vostok 6 spacecraft. Valentina would spend nearly 3 days in space and circled the Earth 48 times, which at the time, was more than all of the American flights combined! Following her spaceflight, Valentina pursued a career as an engineer and politician during the Soviet and Russian years. Fun Fast Facts About Cosmonaut Valentina Tereshkov! Following the successful Vostok 1 flight by Yuri Gagarin in 1961, Sergey Korolyov (the secret mastermind behind the Soviet rocket program), had the idea that a woman should also go into space as an inspirational act. So the search for candidates commenced. 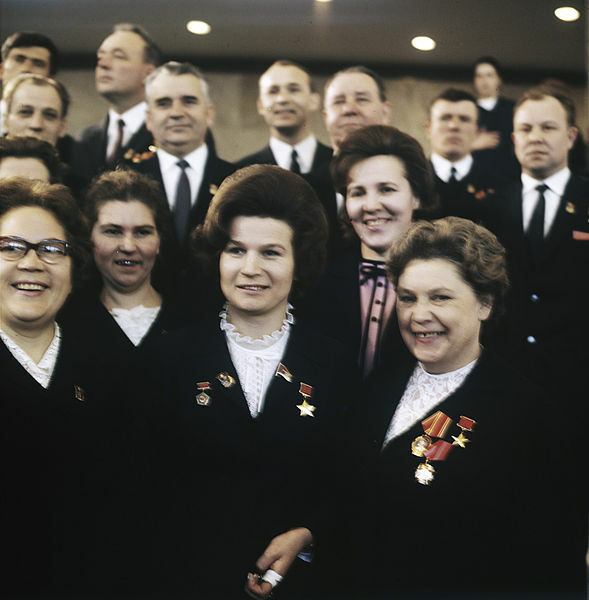 Eventually, the future cosmonaut, Valentina Tereshkova (who was a textile factory worker and amateur skydiver) was chosen as a candidate along with 400 others. Valentina was considered a good choice because her father was a patriotic war hero who died during the Finnish Winter War in World War II. Following extensive training, Valentina Tereshkova was selected to fly aboard Vostok 6, the final flight in the Vostok series. First though, she needed to be made an honorary member of the Soviet Air Force and thus also became the first civilian to fly in space. As the Vostok 6 lifted off on the 16th of June 1963, Valentina became the first women and at 26 years old – 10 years younger than any Mercury Seven astronauts from America’s Project Mercury. Valentina Tereshkova completed 48 orbits of the Earth during her nearly three days in space, logging more time than the combined time of all American astronauts at that point. However, Valentina would remain the only women to have flown in space until 1982 when the Soviet cosmonaut Svetlana Savitskaya, flew into space. The first American woman, Sally Ride, flew aboard the Space Shuttle in 1983. After her spaceflight, Valentina would study engineering and eventually pursued politics becoming a prominent member of the Communist Party of the Soviet Union, in part due to her status as a Soviet hero. Valentina remained politically active following the collapse of the Soviet Union, being elected to the State Duma, the lower house of the Russian legislature, in 2011 and is still regarded as a hero in post-Soviet Russia. Taikonauts - China's Space Travellers! 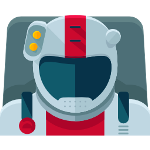 Space Travellers – Interesting Fun Facts & Records! Learn About Alan Shepard – America’s First Man In Space!